Grab your baskets, bags and boxes and make your way to the Iowa City Farmers Market to load up on local handcrafted, homemade and homegrown goods and produce. As in years past, Iowa City’s Farmers Markets will be held on Wednesdays and Saturdays at Chauncey Swan Ramp, 405 E. Washington Street. This year, due to construction on the Chauncey building, Market Music and seating will be available to the east of the ramp and near City Hall. The 2019 Iowa City Farmers Market season runs the first week in May through the last week in October. 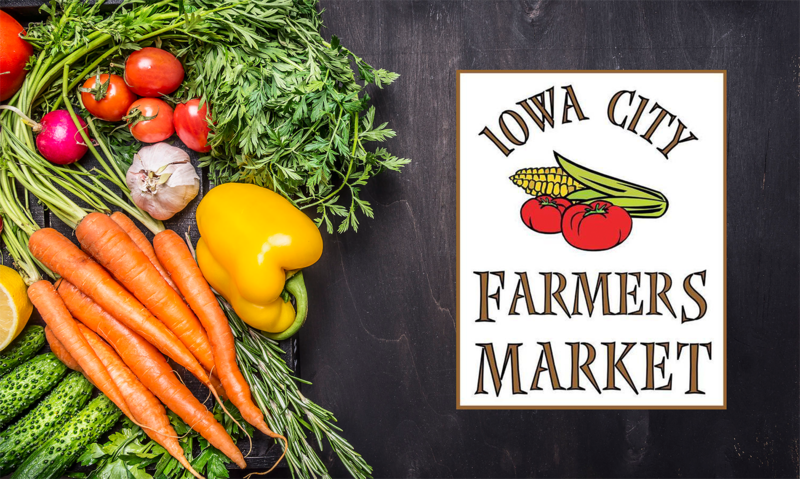 Credit, debit and EBT/SNAP (Electronic Benefit Transfer/Supplemental Nutrition Assistance Program) cards are accepted at the Iowa City Farmers Market. Shoppers intending to pay with a card should stop by the centralized information table and swipe their cards for tokens of equal value. All eligible vendors will accept the EBT/SNAP tokens, and all vendors will accept the credit/debit card tokens. Signs indicating which tokens are accepted by each vendor are displayed at their booth. As an added benefit, those using EBT/SNAP cards to purchase tokens will have their dollars matched through Double Up Food Bucks, Iowa’s statewide healthy food incentive program. For more information about the Double Up Food Bucks program, visit www.DoubleUpFoodBucks.org. The Iowa City Farmers Market is a program of Iowa City Parks and Recreation. For more information visit, icgov.org/farmersmarket.